Quantum phase transitions are strongly relevant in a number of fields, ranging from condensed matter to cold atom physics and quantum field theory. 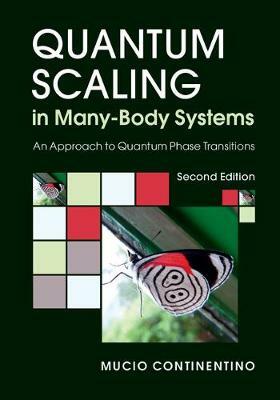 This book, now in its second edition, approaches the problem of quantum phase transitions from a new and unifying perspective. Topics addressed include the concepts of scale and time invariance and their significance for quantum criticality, as well as brand new chapters on superfluid and superconductor quantum critical points, and quantum first order transitions. The renormalisation group in real and momentum space is also established as the proper language to describe the behaviour of systems close to a quantum phase transition. These phenomena introduce a number of theoretical challenges which are of major importance for driving new experiments. Being strongly motivated and oriented towards understanding experimental results, this is an excellent text for graduates, as well as theorists, experimentalists and those with an interest in quantum criticality.